Tombow Color Adhesive Dots are quick to stick and easy to use. 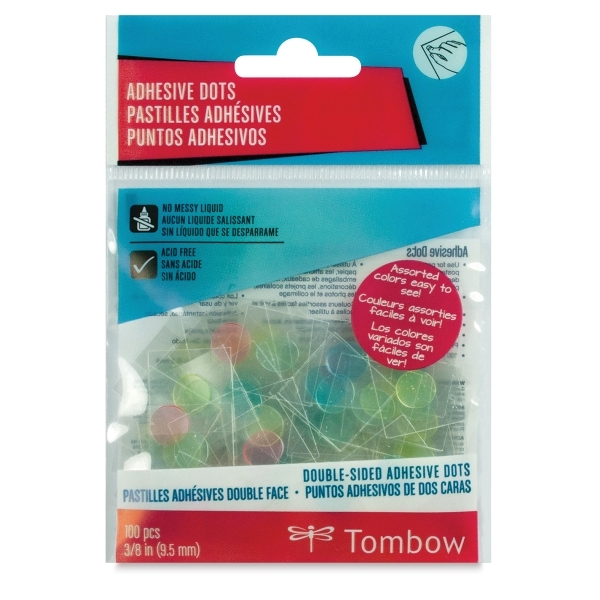 The brightly colored dots are easily visible, so removing them from the liner is effortless. Adhesive dots are perfect for posters, decorations, card making, gift wrapping, scrapbooking, and more. 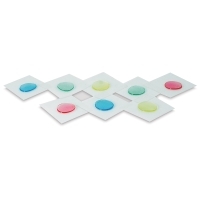 Each pack of 100 dots comes in four assorted colors — red, blue, green, and yellow. 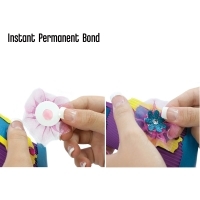 The dots are permanent, bond instantly, and can be easily cut to size.